The number of rough sleepers has risen in Wales according to new figures. An overnight count from November 2017 showed there was 188 individuals on the streets - 47 more than in 2016. Now homeless charities are calling on more to be done to help change the habits of rough sleepers. Some rough sleepers say they choose to sleep in tents rather than seeking refuge at homeless shelters while others are asked to leave shelters for a variety of reasons. Gary, who has slept rough for two years, said: "I'm just out of rehab, it wasn't for me, I couldn't handle it. Everything I know is here (Newport). "Hostels are sometimes a hindrance, because of the drugs in there." 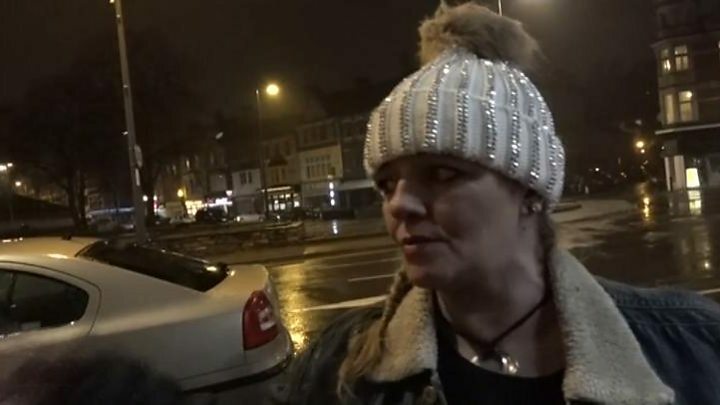 Kelissa, also in her forties, added: "I was in a hostel but it was right on the front line where all the drugs are, and I'm trying to stay off the drugs. "It was just dragging me right down." Craig, 47, said he has physical and mental health problems, and was sharing his tent with three other people. "To be blunt with you, I've had a drug addiction for 28 years. I've been battling it," he added. Craig said drug dealers used to wait for him - and others with addiction issues - outside the hostel where he used to stay. "The hostel is great, but it's just where it is," he said. "I know it's down to choice - it's my personal choice but it [the drugs] makes it so hard." The Welsh Government figures showed that Cardiff had the most rough sleepers at 53, followed by Wrexham (44), Swansea (21), Newport (18) and Conwy (10). A spokesman for the government said: "While these are snapshot estimates, the figures are clearly concerning." Another count which took place during a two week period in October last year showed a smaller rise in the number of rough sleepers. It showed there was 345 rough sleepers - an increase of 10% on the same period in 2016. On the same night as the overnight count, local authorities across Wales said there were 233 emergency bed spaces, and of these 42 were unoccupied and available. The Welsh Government is investing £20m to tackle homelessness over the next two years and First Minister Carwyn Jones has announced an extra £10m in 2019-20 to support work to end youth homelessness in Wales. The spokesman said: "Our innovative housing legislation aims to reduce homelessness and people sleeping rough, with a stronger focus on prevention and a more inclusive approach to helping everyone at risk, not just those in priority need groups. He added that homelessness has been prevented for almost 13,000 households since the legislation came into force.